Picking a UK poker site? As beginners become more serious about how to play poker, they start to learn in greater depth about the different strategies and moves that experienced players employ. One of the first moves a new player should investigate is the check-raise. This basic move, when used at the most appropriate point of play, can have a dynamic effect. It can influence an opponent’s actions, affect the amount of money in the pot and determine the outcome of the game. A strategic move that has two purposes, the check-raise either adds money to the pot, or forces an opponent to fold. As such, the check-raise is one of the strongest bluffing tactics and is designed to trap an opponent, forcing them to re-evaluate the strength of your hand. 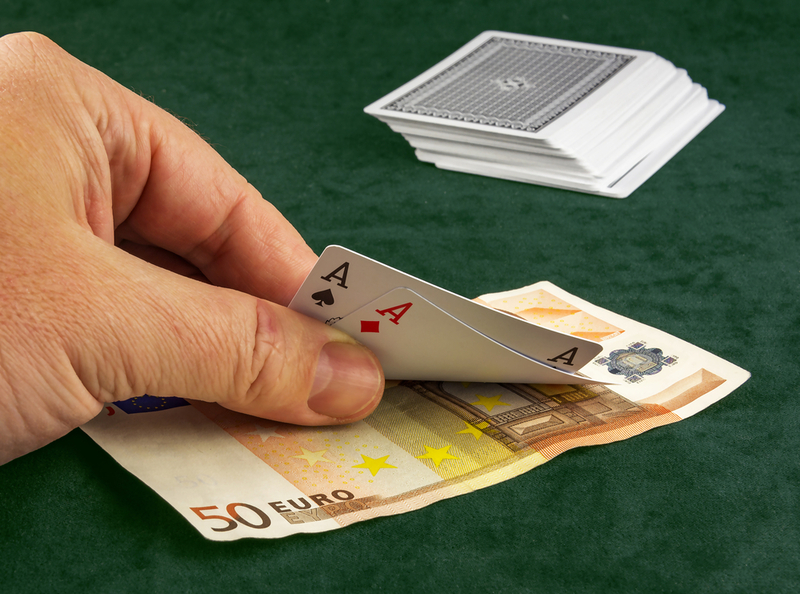 Checking then raising an opponent’s bet gives a false impression of your hand’s value. If used correctly, an opponent should then be compelled to increase the amount they put in the pot or to fold. How Does A Poker Check-Raise Work? When you play poker online, the object is to win as much money as possible. The check-raise can help you succeed depending on how accurately you have assessed the strength of your own hand against that of your opponent’s. If you assume yours is the stronger hand, the check-raise can help add more money to the pot. If you suspect your opponent’s hand is stronger, you can use the check-raise in an attempt to force them to fold. First check on your turn to act, then follow up with a raise. The check-raise can be used whenever you play poker online against multiple opponents or in a head-to-head. Ironically for a game that is built upon deception, the check-raise move was once banned as players began to regard it as a dishonorable move. Even today, some players in less competitive, amicable games, still disapprove of what is sometimes viewed as a ruthless, underhand deception. Poker, like chess, is a game of planned strategy where each action has a purpose to prompt a particular response from an opponent. As such, the check-raise should be used as a deliberate attack on your opponent’s play at a time calculated to bring the anticipated response. It should not be used impulsively, nor should it be used too frequently, otherwise an opponent will soon be able to determine your actions in advance. When you check, you indicate a lack of confidence in the hand you’ve been dealt. When you raise, you’re declaring the opposite. If you judge that your hand is likely to be superior, using the check-raise can encourage your opponent to add more money to the pot. If you have a weak hand, using the check-raise is an effective way of bluffing that you are in a position of strength and should cause your opponent to fold even though their hand may be stronger than yours. When you play poker online, you are initially relying on random chance to deal you a decent hand. However, knowing when to check-raise can quickly turn the weakest hand to your advantage by deceiving an opponent over the true worth of your cards. Playing poker online successfully, depends on your skill at manipulating your opponent. Learning how to play poker against different personalities is a vital part of the check-raise strategy. Some opponents may be intimidated by the sudden show of strength and be prompted to fold even though they have a relatively strong hand. Others may be stubborn enough to suspect you are only bluffing and will add more money to the pot as a show of confidence in their own hand. Using the check-raise too early in a game against a weaker personality, may result in your opponent folding before the pot has reached a worthwhile size. The ultimate bluffing tactic, the check-raise is one of the most deceptive moves in poker, creating the need for a sudden, decisive action from an opponent. An indication of weakness followed by one of strength, can unnerve some players into folding and encourage others to add significantly to the pot. The success of a check-raise move depends on how accurately you have predicted your opponent’s most likely response. When timed to perfection, it becomes the most effective and interesting move in a poker player’s armory. Next Post:What is a Poker Coach and Why Do You Need One? What is a Poker Coach and Why Do You Need One? Need help picking a UK poker site?